Paradiski is located in the heart of the French Alps in the Haute Tarentaise valley. How to get to Paradiski? 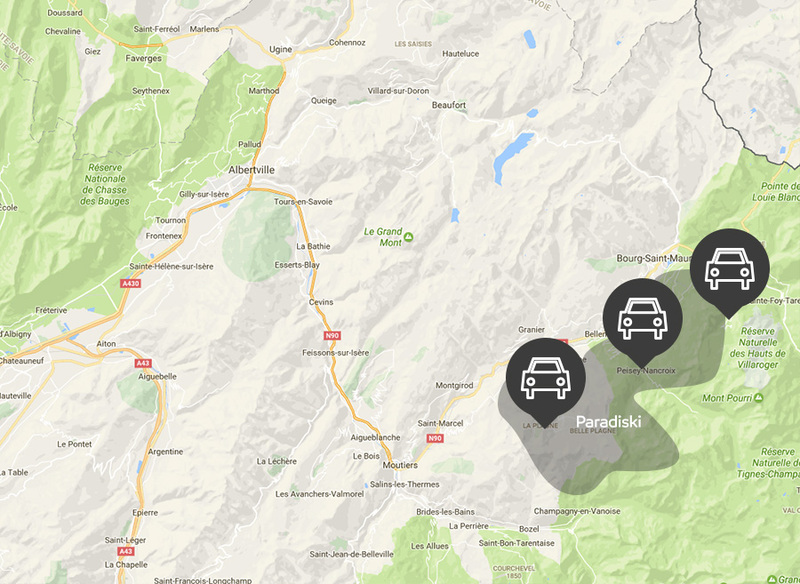 All of the Paradiski resorts are easily accessible by car, train or airplane. During the winter, these train stations are served by direct high speed trains from Paris and London. Once you have arrived at the train station, local buses and/or funicular railway provide the final link to resort. You can reach Paradiski by car via motorway (A43 or A41) to Albertville and then following directions to Moûtiers and the Haute Tarentaise valley. Note : During winter we strongly recommend that your car be equipped with either winter tyres or that you carry snow chains in your vehicle.